Mega Global produces 1.5 million cans of sardines a day. But the young lady who lured William Tiu Lim into the fishing industry remains his biggest catch. 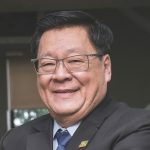 It was the charm of a young lady and a spark of curiosity which lured William Tiu Lim into the fishing industry. Hook, line and sinker. 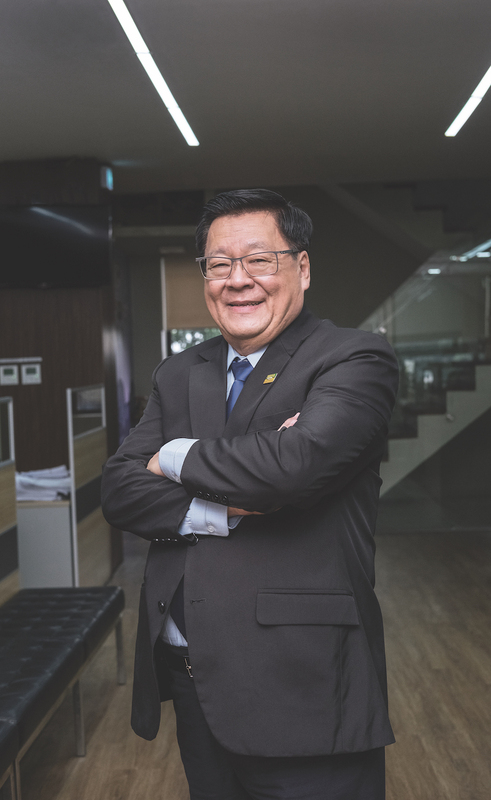 The CEO of Mega Global Corporation was working at his father’s haberdashery store and studying electrical engineering in Manila when Marylou caught his eye. “Her family worked in the fishing industry and I used to visit during my courtship. I became curious about their operations and asked permission to visit their fishing boats. I saw that many of them were breaking down, yet they were still making money. It made me wonder what would happen if new vessels were used. “My curiosity soon became a challenge and in 1972 I started building boats. I began with just one, fishing in the Bicol area. It all started with me asking myself whether I could do a better job. “The fishing industry is something you have to focus on day in and day out, and I was in the midst of construction. There’s no doubt Marylou, now the company’s Executive Vice President, is William’s greatest catch. Five children and 12 grandchildren later, the couple’s family business is a household name, and a leading manufacturer and distributor of canned goods including Mega Sardines, Mega Creations Premium Sardines, Mega Tuna and Mega Prime Canned Vegetables and Fruits, employing more than 3,500 people. Mega Fishing Corporation (MFC) is the fishing arm of Mega Global, boasting a fleet of more than 75 vessels equipped with state-of-the-art sonar fish finders, while Ayala Seafoods Corporation (ASC), which has two factories in Zamboanga, is the canning arm of the company. MFC’s fleet operates out of the Zamboanga Peninsula on the western coast of Mindanao where at least 85% of the country’s sardines are sourced. Mega Global produces a staggering 1.5 million cans of sardines everyday, with 90% of that haul sold in the Philippines. Internationally recognised certifications, including the EU and Halal stamps, facilitate the export of the rest to 36 other countries. William’s commitment to the 12-hour catching-to-canning process paved the way to export. “For years, our traditional method was to haul our fish onto the deck and then onto ice,” he explains. “But when we wanted to export, we were inspected and asked why we put the fish on the deck where we walked because that could lead to contamination. We were immediately barred from exporting to Europe because of this. The company was also the first sardines brand in the Philippines to introduce easy pull-up cans and pouches. Once again it involved a trip overseas to find the right suppliers of easy-to-open cans. Indeed, William, wanting to improve his own performance, headed to Harvard at the age of 65 to embark on an Owners Management Course. 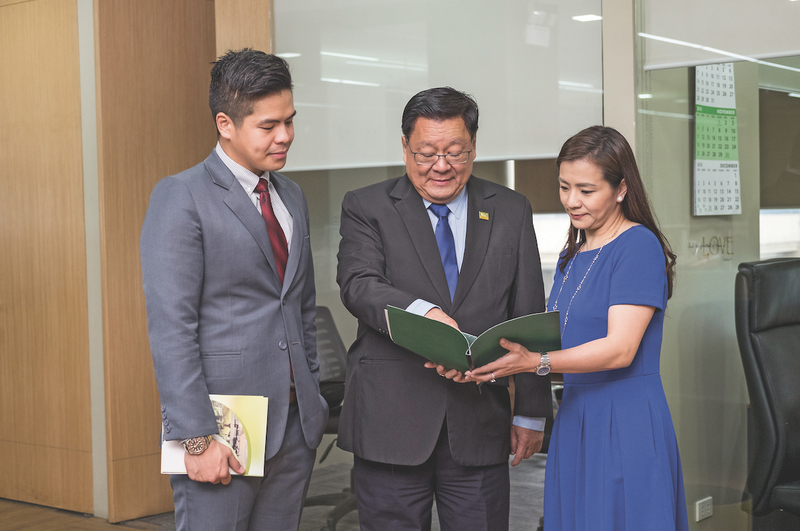 His three children working at Mega Global, Michelle, Vice President of Finance; Marvin, Vice President of Sales and Marketing; and Malcolm, Vice President of Zamboanga Operations, were his inspiration. “They had their degrees and MBAs and would throw ideas around at meetings, and I wanted to do the same. So, they found this course for me, three weeks a year for three years, and while I was thinking I might be too old, I needed to learn more. Two years later William received the 2017 Meralco Biz Partners Entrepreneur of the Year award. Reflecting on his 40-plus years in the fishing industry, William believes a good entrepreneur must remain focused. Today, William is firmly focused on the future, ensuring future generations will be left with enough sardines to fish. In 2011, the Bureau of Fisheries and Aquatic Resources regulated an annual three-month sardine fishing ban in Zamboanga from December to March. It was an unpopular decision at the time, but quickly recognised as beneficial when just a year after its implementation there was a greater than 6% increase in sardine production. “It gives the fish time to regenerate, grow and propagate,” William explains. On the cusp of turning 70 this year, William is leaving his own legacy to the next generation. He’s actively training his family and staff to continue the business, and that includes teaching them to always take on challenges and opportunities to see how things can be improved.